I was SOOOOOOO excited to find this book! I've read multiple fairy tale retellings, but this one is my favorite. I come from a proud Norwegian family (we're descendants of a king! 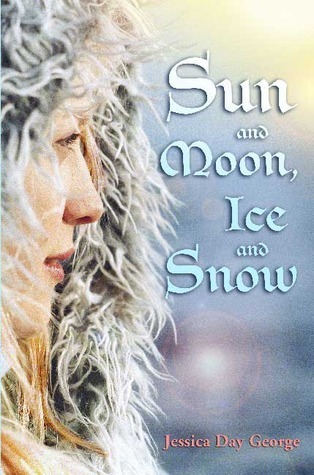 ), and this is a retelling of the Norwegian folk tale East of the Sun and West of the Moon. I guess I could explain it by saying that this is kind of like Beauty and the Beast. A young woman must live with an animal so her family will have money and be safe. Her father begs her not to go, but the girl wants to help her family. When at the castle, she is surrounded by secrets and must figure out who this White Bear, isbjorn, is. The girl, or Lass as everyone calls her, is unloved by her mother and was never given a name. The Lass must stay with the Polar Bear for a year and fall in love with him or else he has to marry a troll princess. 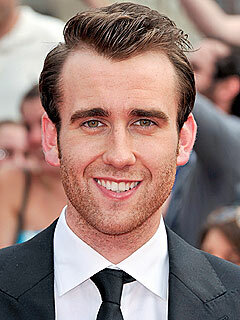 I imagined him being Matthew Lewis. I imagined the Lass being Evanna Lynch. The Lass must find Matthew Lewis... I mean the prince, and save him from being married to the troll. She saves the prince and we finally learn their names. Bellalyse is the name of the Lass and the prince's name is Asher. And I LOVE those names! The unloved, youngest daughter. She was given the ability to talk to animals at a young age, which is why the Polar Bear came to her. She finds out his secret and helps to save him from being married to the troll princess. You finally learn her name, Bellalyse, at the end of the book. She eventually falls in love with the Polar Bear. It is revealed that he is a prince and that his name is Asher. He is cursed to be a Polar Bear by day, but a man at night. He needs the Lass to help save him. He eventually falls in love with the Lass. Overall, I loved this book! It's not that popular, but it's a great hidden gem! Share book reviews and ratings with Lizzie the Sarcastic Blonde, and even join a book club on Goodreads. Lizzie has read 3 books toward her goal of 50 books.